Jenny was a little skeptical...now she's fully converted! "I was reluctant to commit to business coaching at all at the start of this course and I admit I was a bit cynical about how much it would help. I'll hold my hands up and say that I was totally wrong- from module 1 I was a convert! Ese's style of delivery is very friendly and personal but she is also a pro and her material is brilliant for driving you forward to improving your business and thinking more about your customer, your branding and how you come across. I've already noticed increased sales since completing the course. Thanks Ese!" "Running into Ese’s course was a pure coincidence for me, little did I know what amount of guidance and help I would receive! Ese, with her availability, support, insight, well-paced assignments and demand for action on my part, more than delivered. Guided by her videos and very comprehensive materials I was able to gain a much clearer idea of what it was that I wanted to do – I knew I wanted to sell my services to people but that was about it. She helped me see what was unique about me and my business and exactly how to present it to my clients. This was, and still is, a revelation to me, and the best thing about the course! Now I can talk about what I offer to anyone. I love Ese's course because it is so thorough and gets you started on the right foot. If you come in with zero knowledge on how to start a business, or with no idea as to what business you should start, the course will give you a great start by the time you are done and more clarity as to what type of business you should start or the types of clients you would like to serve. You will leave the course knowing exactly who YOU are and who your clients are. 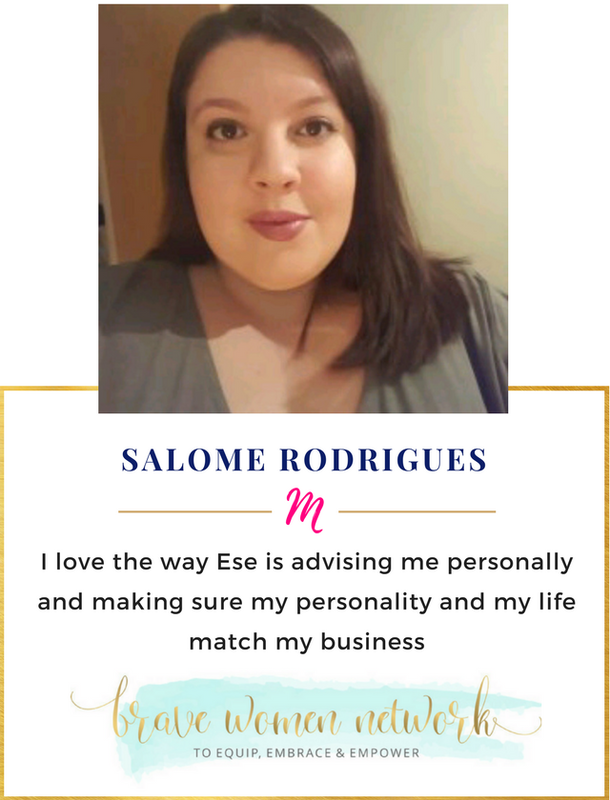 It is very apparent that Ese is genuinely interested in her clients' success and is there every step of the way to make sure all questions are answered and that you enjoy the process. "In the space of 6 weeks I have completed more steps to launching my business than I ever could have done on my own. Ese was super helpful, friendly and down to earth. She not only told me what I needed to do, but she also showed me what I needed to do - literally step by step. I will admit I'm not the best with technology but Ese was so patient answering all my questions and today I'm in the process of creating my website all on my own! This course has not only helped me start my business but it has also given me practical skills and made me a more confident woman willing to take risks.